Stern ceiling hanger with metal main part and glass decorating the whole structure. Integrated rounded design with 30 W LED lighting, intensity of 2100 lumens to give a perfect visibility to your dining room, living room or bedroom.Dimensions: Height 4 cm. Diameter 45 cm. Wall light of modern and current style. 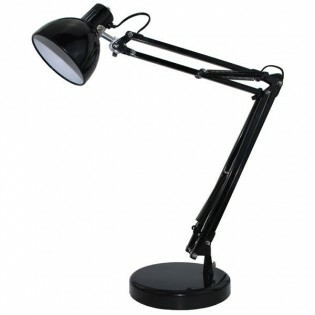 Extendable arm from 30 to 65 centimeters, very functional, ideal as auxiliary light in the bedroom. Rust-coloured metal structure and fabric lampshade in a perfect shade to create a cosy lighting. Total dimensions: Height 50 cm.Extendable arm dimensions: Length: 30 - 65 cm.Lampshade dimensions: Diameter 20 cm. Ceiling Lightin a modern style. 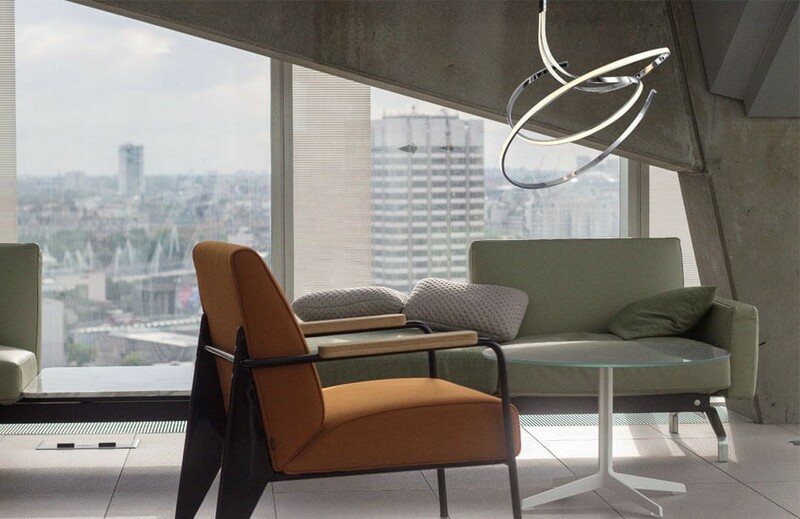 With double Lampshade, opal white glass interior and Spherical-shaped exterior in methacrylate-like material with amber, black or violet bands. 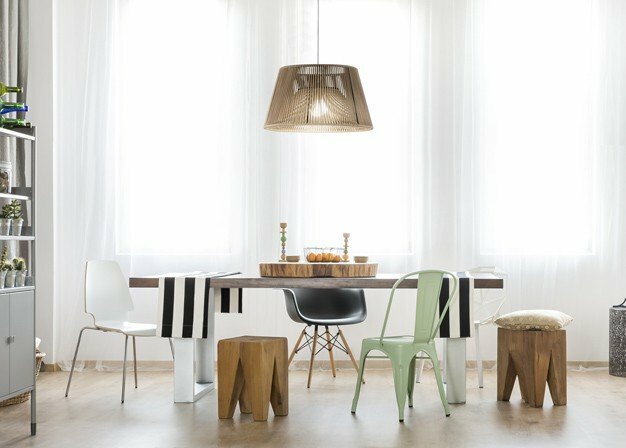 Perfect for living and dining rooms in a modern style. Dimensions: Diameter: 30 cm. High Lampshade: 30 cm. Height adjustable 50-100 cm. 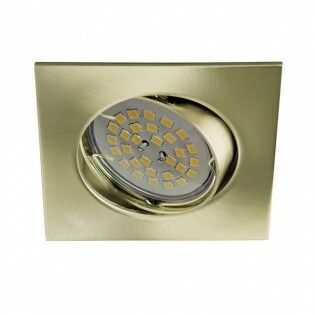 Wall light Celia with 5 years warranty. Made of aluminium and ABS with a modern chrome finish. 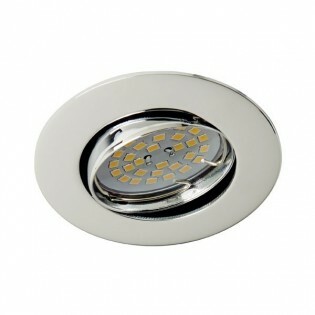 LED Lighting integrated 10 W, minimum light consumption. Ideal design for use in the bathroom (IP44 protection against dust and water) and various fastening methods to adapt to the characteristics of your mirror.Dimensions: Length 10.5 cm. Width 50.3 cm. Retro ceiling lamp Bergen II. The lampshade is made of glass with water drops detail, these drops give it a decorative and original touch as well as a unique lighting effect. 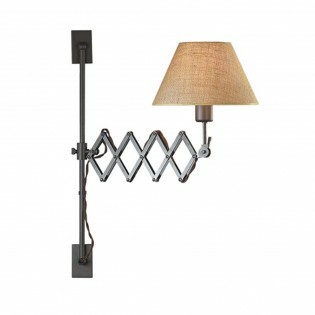 It is an ideal lamp to place in your living room, dining room and bedroom, is also an option for bars and restaurants. Dimensions: Height 32-150 cm. Diameter 21 cm. Nube (Cloud) table lamp for children. The textile shade is available in several colours and has a decorative lace. You can choose the colour of the lampshade to match the decoration of the room. The white wood base has a spherical design that gives it a different touch. To be placed in girls' and boys' bedrooms. Dimensions: Height 40 cm. Diameter 22 cm. Fan of a large size. Lightweight 6-bladed. Modern industrial type design finished in anodized grey, white or brown. It has reverse function and 6 speeds with silent motor and energy saving. Ideal for living rooms, bedrooms, kitchens, dining rooms or commercial premises. Dimensions: High 46 cm. Diameter 213.3 cm. Fan of modern design and light lines. Made of steel, ABS and natural wood with matt nickel finish and 3 blades in rustic pine. It has reverse function and 6 speeds with silent motor. Remote control included. Very suitable for living rooms, bedrooms, kitchens, dining rooms or businesses. Dimensions: High 45 cm. Diameter 132 cm. 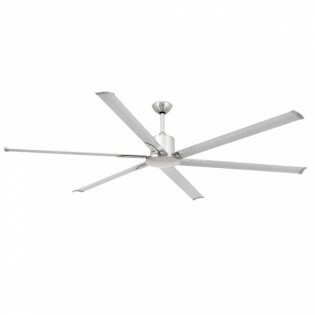 Ceiling fan Bahamas to give your home a modern touch. 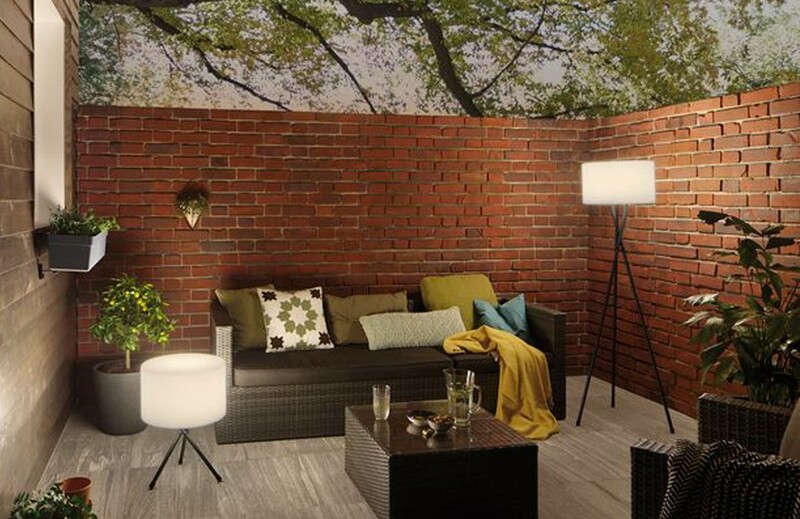 The integrated LED Lighting stands out, ideal for lighting while saving on electricity. 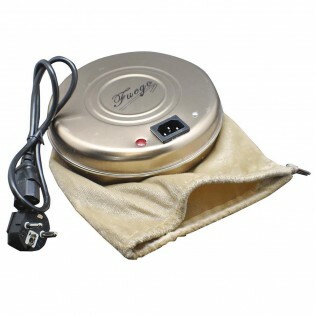 It has six adjustable speeds and reverse function that will improve heating efficiency in winter. Includes remote control and driver.Dimensions: High 34,5 Cm. Length 165 Cm. Diameter 165 Cm. 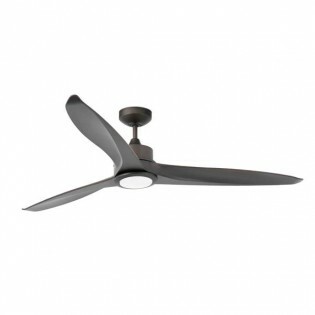 Ceiling fan Tonic of modern lines which you can place on sloping ceilings. 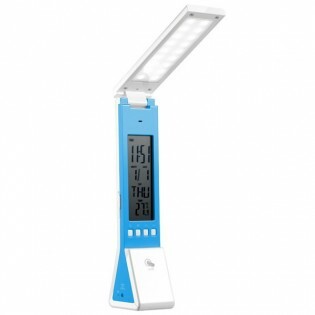 It integrates LED Lighting, Perfect for energy saving, six adjustable speeds and remote control operation. It stands out for its inverse function so that you can use it both in winter and summer.Dimensions: High 31 Cm. Length 152 Cm. Width 152 Cm. Diameter 152 Cm. 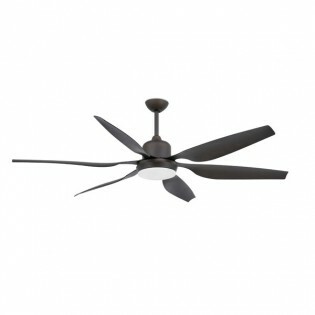 Ceiling fan Mini Eterfan. Modern design with chrome structure and different finishes. 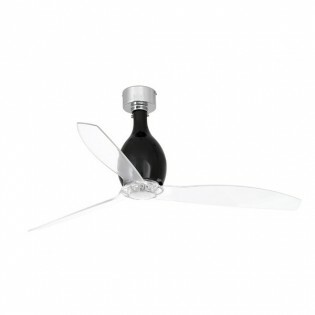 Fan with three blades and DC Motor that provides it 6 speeds and makes it noiseless. Remote control included. The function summer/winter helps to distribute the air correctly. Dimensions: Height 45 cm. Diameter 128 cm. 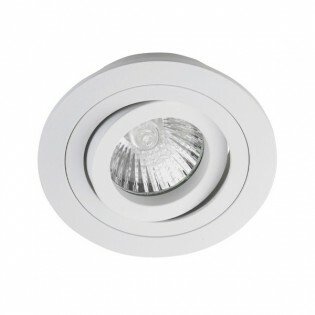 Recessed Downlight Classic model adjustable round in aluminium for ceilings. Fixing to the ceiling with clamps (included). Tilting angle of the porthole 30º and 351º adjustable, in order to focus the lighting to the desired point. 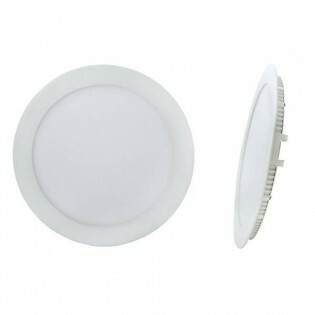 Perfect downlight for lighting in fashion stores, living rooms, corridors and all kind of shops.Dimensions: 9 x 9 x 2.5 cm. 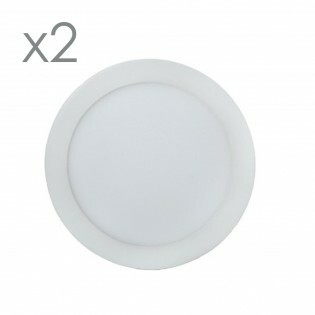 Pack of 2 LED Downlight extra flat round (18W). High luminous efficiency (1,590 lm) and cold white light (6000ºK). Finished in white colour. Instant On. With only 1 cm thick. Perfect to replace in businesses, shops and kitchen lighting. Homogeneous lighting with a consumption saving of 80%. Lifespan: 30,000 hours.Diameter: 22.5 cm. Thickness: 1 cm. 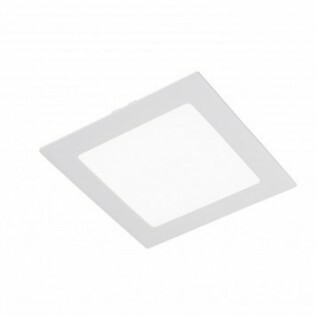 Recessed Downlight adjustable square for ceilings with polished aluminium structure and bright aluminium interior. 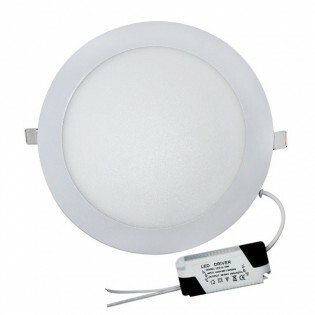 Ideal downlight for lighting in living rooms, corridors, living rooms. Tilting angle of the porthole 30º and 351º adjustable, in order to focus the lighting to the desired point. 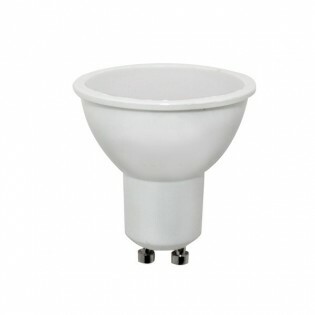 Brand: Wonderlamp.Dimensions: 90 x 90 x 25 mm. Recessed Downlight Wonderlamp for ceilings round in white finish with 30º tilting angle to direct the light to the desired point. You can place it in all kind of spaces such as the bedroom, shops, commercial premises, shops, dining rooms ... Drill: 7.5 cm. Dimensions: Diameter 8.5 cm. Height 1.5 cm. 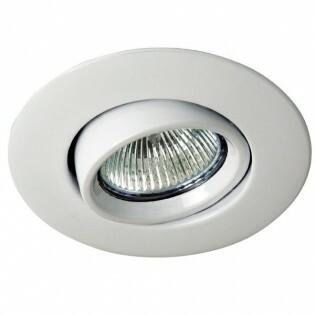 Recessed Downlight adjustable round in white for ceilings. Fixing to the ceiling with clamps (included). Tilting angle of the porthole 30º and 351º adjustable, in order to focus the lighting to the desired point. 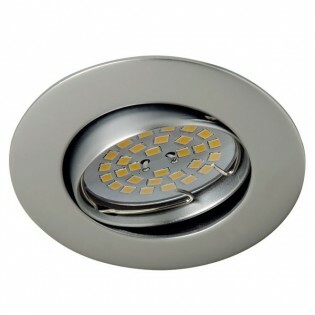 Perfect downlight for lighting in corridors, bedrooms, living rooms, shops. 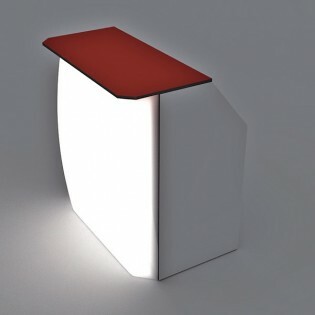 Wonderlamp Product.Dimensions: 90 x 90 x 25 mm. 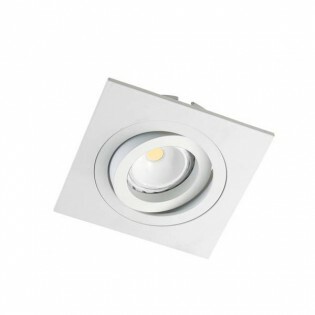 Recessed Downlight in white for ceilings Wonderlamp brand ideal to light up all types of places or rooms: corridors, fashion shops or other commercial premises. It has a 30º tilting angle so that you can focus the lighting where you want and lamp holder GU10 for bulbs is included. Dimensions: 9 x 9 x 2.5 cm. Downlight BASIC with fitting to the ceiling by clamps. Round shape made of steel. 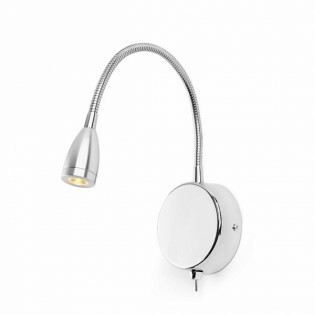 It includes 30º porthole and ceramic lamp holder GU10 with 15cm cable. 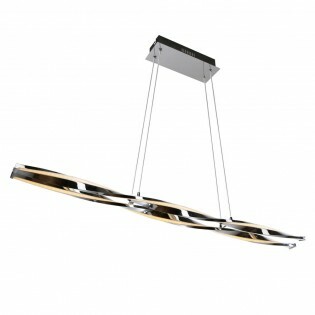 Ideal to light up spaces like corridors, dining rooms, restaurants, etc. Brand: Wonderlamp Dimensions: Diameter 85 mm. Height 15 mm. 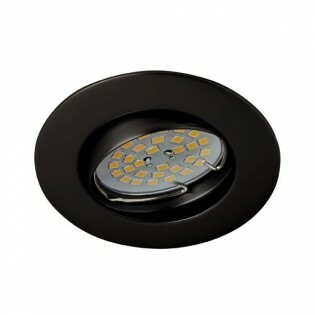 Recessed Downlight adjustable round in black for ceilings. Tilting angle of the porthole 30º and 351º adjustable, in order to focus the lighting to the desired point. Fixing to the ceiling with clamps (included). Perfect downlight for lighting in fashion stores, living rooms, shops, corridors. 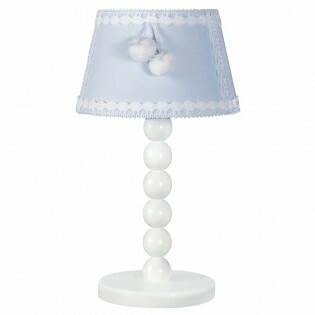 Brand: Wonderlamp.Dimensions: 9 x 9 x 2.5 cm. Pack of Light bulbs Led type B45 Spherical LED 6W (E27 coarse thread). Equivalent to conventional Light bulbs of 40W. 470 lumens. LED SMD. Instant switch-on. Warm light of 3000ºK. Ideal for replacement of Halogens Light bulbs.Service life >25.000 hours. 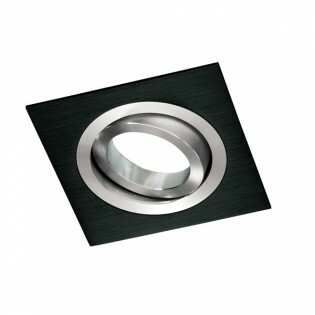 Recessed adjustable downlight for ceilings square finished in black. 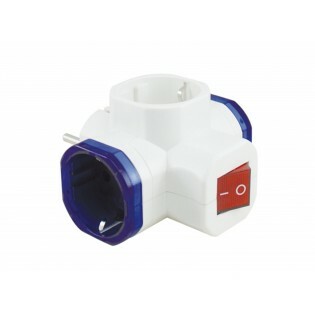 Ceramic lamp holder GU10 with 15 cm cable is included. Tilting angle of the porthole 30º and 351º adjustable. 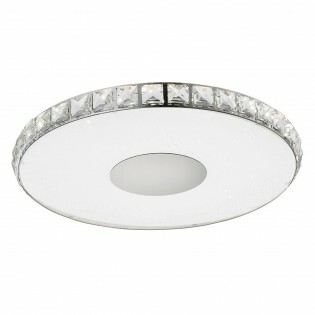 Ideal downlight for illumination in fashion stores, restaurants, lounges, bedrooms... 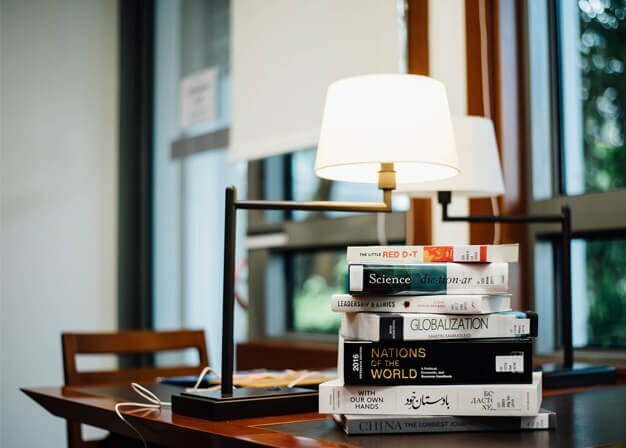 Brand: Wonderlamp. 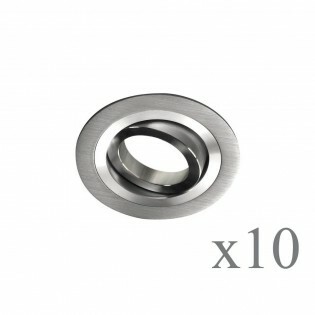 Dimensions: 90 x 90 x 25 mm. LED Bulb with twilight bulb E-27. 11W. 4000ºK. LED Bulb with twilight sensor E-27. 11W. 3000ºK. 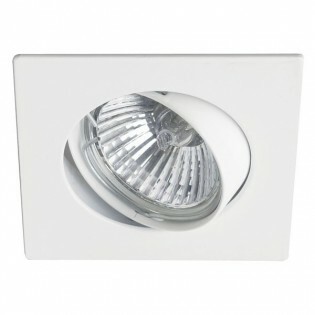 Recessed Downlight round fixed in white colour with fixed function by Wonderlamp brand. It is fastened to the ceiling with clamps and it can be placed in areas like the dining room, living room, bedroom, etc. 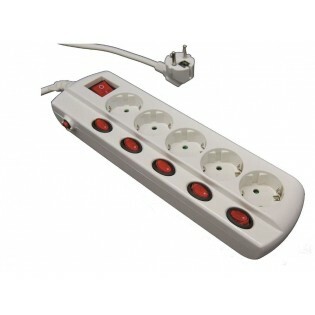 It includes a GU10 lamp holder made of ceramic with 15cm cable.Dimensions: Diameter 8 cm. Height 1.5 cm. 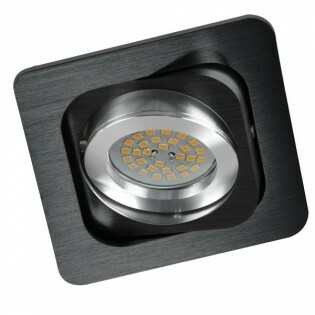 Downlight LED extra flat square (18W). High luminous efficiency (1,590 lm) and cold white light (6000ºK). Finished in white colour. Instant On. With only 1cm thick. 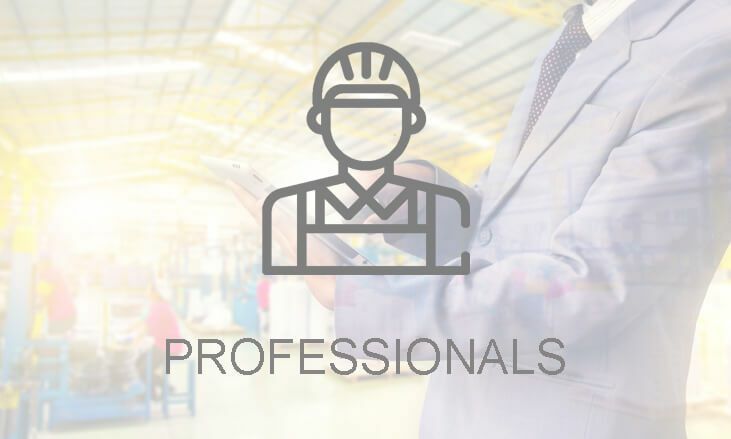 Perfect to replace in businesses, shops and for kitchen lighting. Homogeneous lighting with a consumption saving of 80%. Lifespan: 30,000 hours.Diameter: 22.5 cm. Thickness: 1 cm. 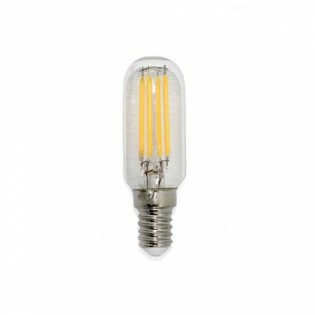 Light bulb Led type B45 Spherical LED 6W (E27 coarse thread). Equivalent to conventional Light bulbs of 40W. 470 lumens. LED SMD. Instant switch-on. Warm light of 3000ºK. Ideal for replacement of Halogens Light bulbs.Service life >25.000 hours. 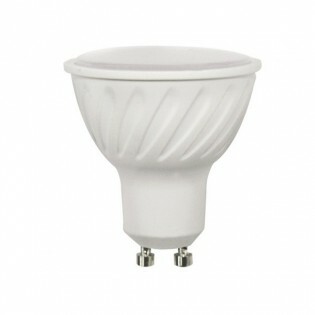 LED Bulb GU10 7W, 220-240V. Switched on at full power in 0,5 seconds. Three colour temperature options, 3000 ºk (warm light), 4000 ºk (neutral light) and 6000 ºk (cold light). 25,000 hours of durability at full intensity. 100º Opening angle. Equivalent to 75W of incandescence. Matte lens. Dimensions: Height 57 mm. Diameter 50 mm. 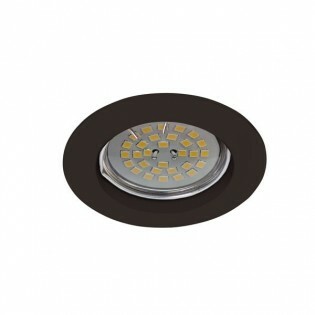 Extra-flat round LED downlight (18W). High light performance (1,590 lm) and cold white light (6000ºK). White finish. Instant ignition. Only 1 cm thick. Perfect for replacing in stores, stores and kitchen lighting. Homogeneous lighting with 80% energy savings. Useful life: 30,000 hours.Diameter: 22.5 cm. Width. 1 cm. LED Light Bulb standard 12W with twilight sensor with a light intensity of 1000 Lm. It turns on automatically at night and turns off during the day. Thick thread (E27) Available in Warm light (3000ºK). Perfect for outdoor passageways in urbanisations, shops, restaurants and hotels with outdoor environments.Useful life >30.000 hours. Waterproof outdoor flood light IP66. 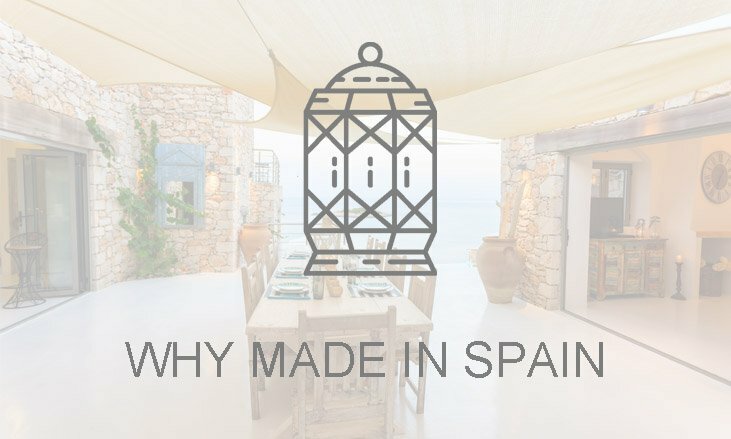 Lighting for terraces, facades in premises and outdoor areas. LED lighting with adjustable aluminium spotlight. Light beam opening angle 120º. Cold light of 6000ºK. Dimensions: 11.5 x 4 x 13.8 cm. 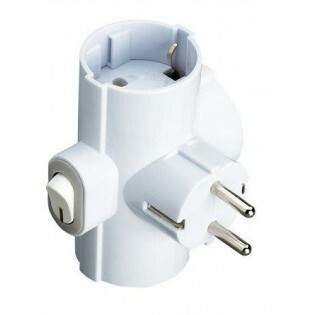 Triple schuko plug (plug and socket) with ON/OFF switch for switching off when not in use. Its spikes are 4.8 MM Diameter with two side sockets. 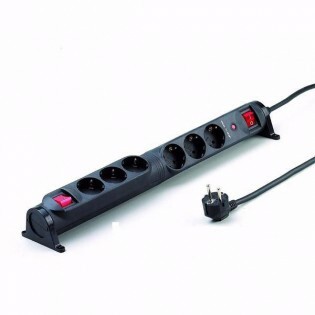 Its design saves space compared to bulkier power strips. Pacl of 5 Light bulbs Led type B45 Spherical LED 6W (E27 coarse thread). Equivalent to conventional Light bulbs of 40W. 470 lumens. LED SMD. Instant switch-on. Neutral light of 4000ºK. Ideal for replacement of Halogens Light bulbs.Service life >25.000 hours. Light Bulb infrared High Power output (250W). Thick thread E27. Voltage: 220-240v. Infrared reflector lamp that emits heat. Perfect for aesthetic and beauty treatments with infrared light, in restaurants and kitchens to keep food warm and also in greenhouses and incubators. Dimensions: Diameter 12,5 cm. LED Light Bulb standard 12W with twilight sensor. The Light Bulb incorporates a light sensor in the base to turn it off during the day and on at night. High luminosity (1000 Lm). Thread big. E27. Available in Cold light (6000ºK). Perfect for shops, restaurants and hotels with outdoor environments. Useful life >30.000 hours. 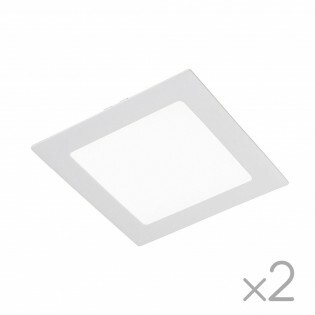 Pack of 2 LED Downlight extra flat square (18W). High luminous efficiency (1,590 lm) and cold white light (6000ºK). Finished in white colour. Instant On. With only 1 cm thick. Perfect to replace in businesses, shops and kitchen lighting. 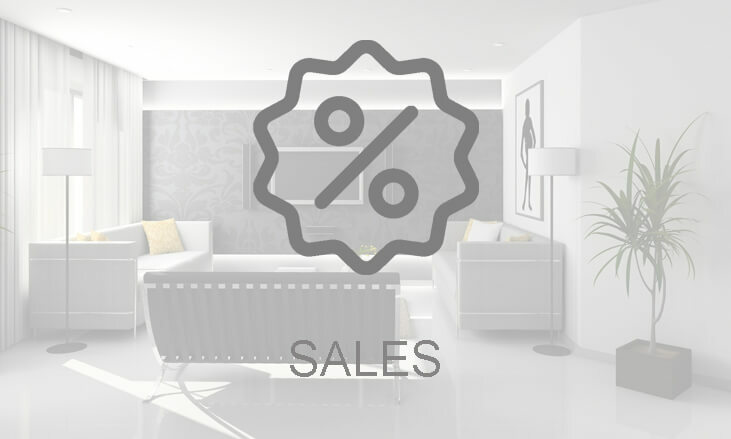 Homogeneous lighting with a consumption saving of 80%. Lifespan: 30,000 hours.Diameter: 22.5 cm. Thickness: 1 cm. 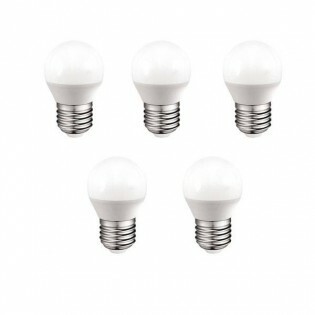 Pack of 5 Light bulbs Led type B45 Spherical LED 6W (E27 coarse thread). Equivalent to conventional Light bulbs of 40W. 470 lumens. LED SMD. Instant switch-on. Cold light of 6000ºK. Ideal for replacement of Halogens Light bulbs.Service life >25.000 hours. 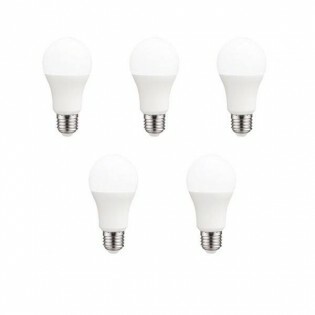 Pack 5 Light bulbs Led type B45 Spherical LED 6W (E14 small edison screw). Equivalent to conventional Light bulbs of 40W. 470 lumens. LED SMD. Instant switch-on. Cold light of 6000ºK. Ideal for replacement of Halogens Light bulbs.Service life >25.000 hours. 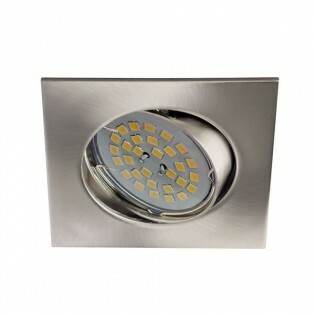 Recessed Downlight tiltable for ceilings square in steel. For installation in hallways ceilings, living rooms, lounges, bedrooms, shops, etc. It includes a GU10 ceramic lamp holder with 15cm cable. Dimensions: 8 x 8 x 2 cm. 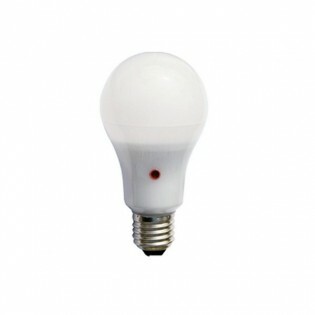 Light bulb Led B45 with Spherical design and LED technology SMD 6W (screw thread E27). Equivalent to conventional Light bulbs of 40W. 470 lumens. Instant switch-on. Light temperature: Neutral (4000ºK). Quit using Halogen Light bulbs for more efficient LED technology.Service life >25.000 hours. Light bulb LED type SMD B45 with 6W Spherical design (screw thread E14 ). Equivalent to 40W en Light bulbs convencionales. 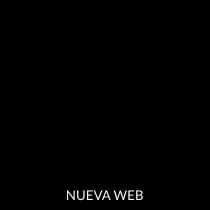 Intensidad: 470 lumens. Instant switch-on. Cold light (6000ºK). Save on your Consumption with LED technology and change your old Halogens Light bulbs.Service life >25.000 hours. 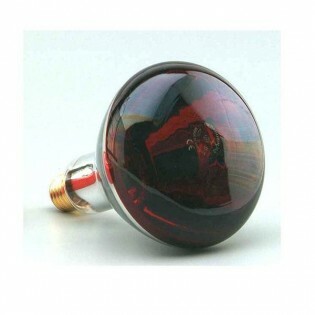 Light bulb type LED SMD type B45 6W spherical design with E14 thread. Equivalent to Light bulbs 40W traditional power supply. Light intensity: 470 lumens. Instant switch-on. Neutral light (4000K)Saving LED technology compared to the former halogens Light bulbs.Service life >25.000 hours. 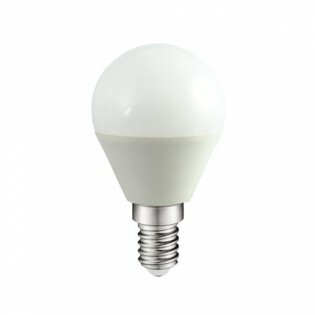 Light bulb Led type B45 Spherical LED 6W (screw thread E27). Equivalent to conventional Light bulbs of 40W. 470 lumens. LED SMD. Instant switch-on. Cold light of 6000ºK. 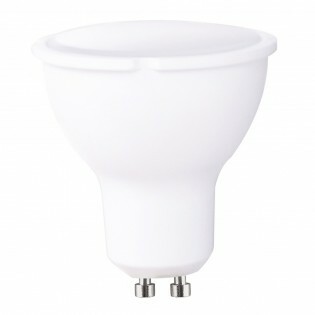 Ideal to replace Halogens Light bulbs due to its luminosity and energy saving.Service life >25.000 hours. 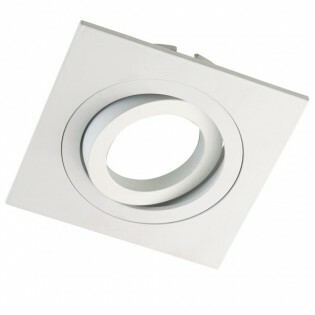 Recessed Downlight adjustable square white with interior made of bright aluminium for ceilings. Its adjustable porthole allows an orientation of 351º and its 30º tilting brings many possibilities when lighting spaces such as bedrooms, fashion shops or restaurants among others. 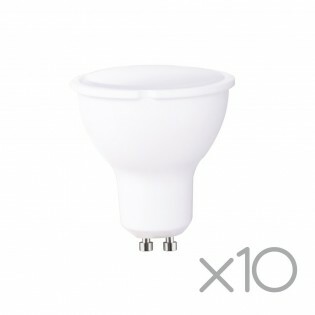 Use a GU10 bulb (not included) with the downlight.Dimensions: 9 x 9 x 2.5 cm. 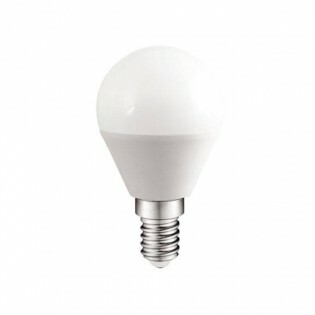 Light bulb Led type B45 Spherical LED 6W (E14 small edison screw). Equivalent to conventional Light bulbs of 40W. 470 lumens. LED SMD. Instant switch-on. Warm light of 3000ºK. Ideal for replacement of Halogens Light bulbs.Service life >25.000 hours. Pack of ten Light bulbs LEDs Non-adjustable with 8 W power (50 W in a conventional light bulb halogen) and ultra-fast ignition. Two-year warranty. 25,000 hours to live. Light with Opening angle of 100º. Luminous flux of 702 lumens. Perfect for lighting all kinds of rooms.Dimensions: High 5 cm. Diameter 5.5 cm. 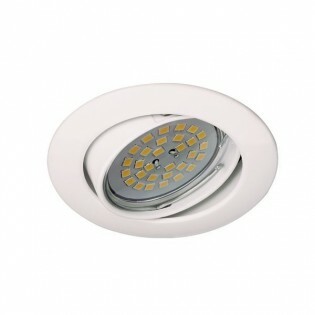 Recessed Downlight Wonderlamp for ceilings with ceramic lamp holder GU10 included and 15 cm cable. It has a rounded design and fixed non orientable function perfect for placing in corridors, shops, bedrooms or any other type of spaces.Dimensions: Diameter 8 cm. Height 1.5 cm. White triple plug with luminous switch and side grounding. 0,48 cm Diameter.16 A, 250 V and 3680 W maximum spikes. Space-saving design. Filament LED Light Bulb. 4w, special for Lighting of extractor hoods of kitchens. European thread E14. Warm light (2700ºK). Transparent glass. Light Intensity: 380 Lm. 30000 hours of use. Dimensions: 8.4 x 2.5 cm. 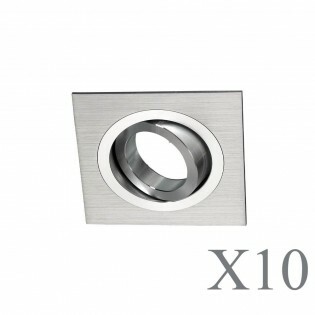 Pack of 10 recessed downlights, two-year warranty, square-shaped design and manufacture of aluminium. Its tilting angle allows you to direct the lighting towards a specific point. Includes lamp holder for GU10 light bulb. 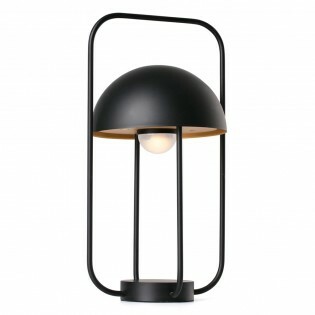 An ideal lighting element for modern and current rooms.Dimensions: Height 2 cm. Length 8 cm. Width 8 cm. Drill 7.5 cm. 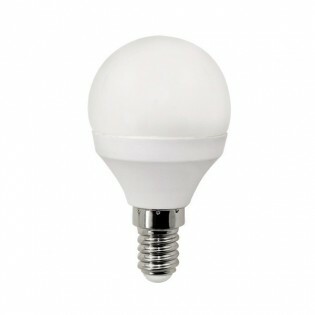 Pack 5 Light bulbs Led type B45 Spherical LED 6W (E14 small edison screw). Equivalent to conventional Light bulbs of 40W. 470 lumens. LED SMD. Instant switch-on. Neutral light of 4000ºK. Ideal for replacement of Halogens Light bulbs.Service life >25.000 hours. 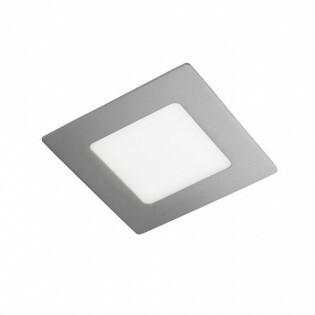 Recessed Downlight tiltable for ceilings round in balck colour. Easy to install in corridors, bedrooms, living rooms, kitchens, shops or commercial premises. GU10 lamp holder included. Dimensions: Diameter 85 mm. Height 15 mm. 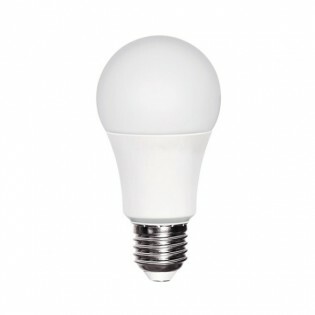 LED Bulb E-27 4W, 220-240V. Switched on at full power in 0,5 seconds. Two colour temperature options, 3000 ºk (warm light) and 4200 ºk (neutral light). 25,000 hours of durability at full intensity. 180º Opening angle. Equivalent to 25W of incandescence. Dimensions: Height 78 mm. Diameter 45 mm. 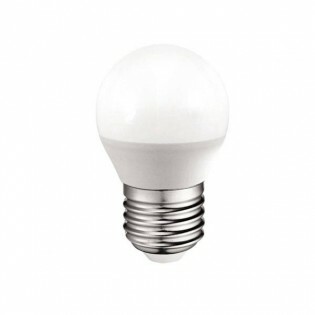 Light bulb Led type B45 Spherical LED 10W (E27 rosca gorda). Equivalent to conventional Light bulbs of 60W con 10W of power consumption. 806 lumens. LED SMD. Instant switch-on. Cold light of 6000ºK. Ideal for replacement of Halogens Light bulbs.Service life >25.000 hours. 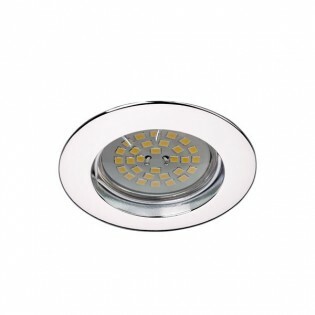 LED bulb 6W (small screw cap fitting E14). High light output per watt consumed . 470 lumen. White neutral light (4000ºK). Instant On (100% light 0,2s). Bulb dimensions: 81mm. Height x 45 mm. Diameter . Light opening angle: 200º. LED type: SMD. Voltage: 220-240V. CRI> 80. Lifespan >30,000 hours. LED Bulb with twilight sensor E27 (11W - 6400ºK). 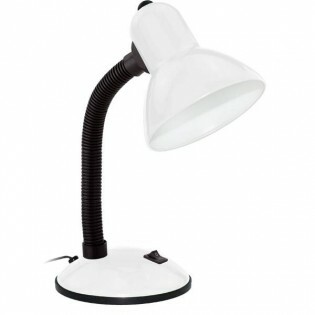 Desk lamp 'Back to 50's' with a characteristic retro-vintage style made of aluminium. It has an adjustable light point thanks to its flexible arm. Led lighting with 6W power, 350 lumens and 4000k. Available in white, blue, black or green. Includes driver. Dimensions: High 33.5 cm. Base diameter: 14.5 cm. Lampshade diameter: 12.5 cm. Recessed Downlight fixed for ceilings round in black colour. 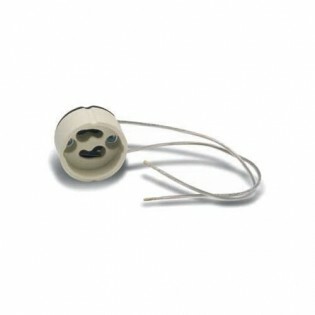 Ceramic lamp holder GU10 with 15cm cable included. 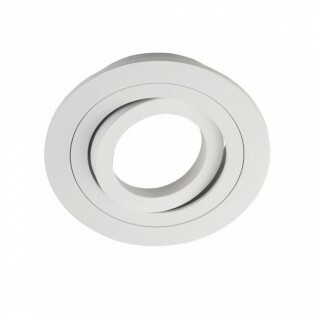 For installation in corridor ceilings, bedrooms, kitchens, commercial premises, shops, etc. Dimensions: Diameter 80 mm. Height 15 mm. Pack of 2 Light bulbs Led type B45 Spherical LED 6W (E27 coarse thread). Equivalent to conventional Light bulbs of 40W. 470 lumens. LED SMD. Instant switch-on. Warm light of 3000ºK. Ideal for replacement of Halogens Light bulbs.Service life >25.000 hours. 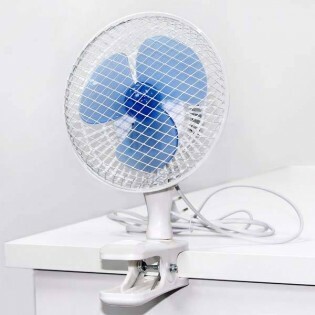 Table fan with clip. It has 2 air speeds. The model can be clamped to any table (between 3.2 mm and 19 mm Width) and can also be placed on flat surfaces as it also has a removable support. includes clamp and base to be placed in the desired position. Ideal for tight spaces. 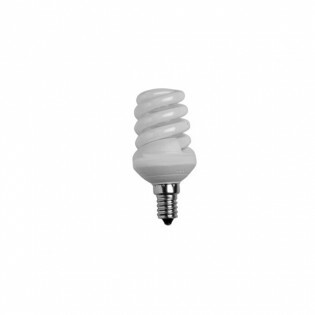 Light bulb mini-espiral 11W of low consumption (screw thread E14). High luminous power: 530 lm. - Service life >8.000 hours.- Dimensions: 41 x 100 mm.- Tube: T2. 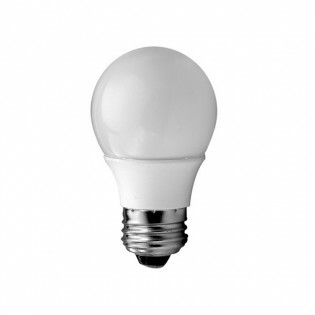 LED Bulb E-14 4W, 220-240V. Switched on at full power in 0,5 seconds. Two colour temperature options, 3000 ºk (warm light) and 4200 ºk (neutral light). 25,000 hours of durability at full intensity. 180º Opening angle. Equivalent to 25W of incandescence. Dimensions: Height 78 mm. Diameter 45 mm. 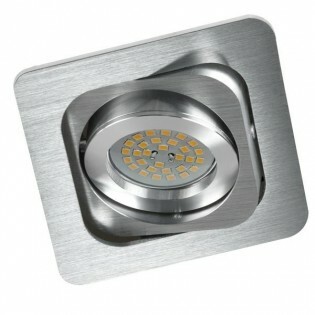 New downlight extra-flat squared of 20W of Power output. High luminous efficiency (1.480 lm) and color day white ( Neutral light 4000ºK).All the light you need in just 22 mm. of thickness!Useful life: 20.000 hours.Dimensions: 225 x 225 x 22 mm. Pack made up of 5 square recessed downlights. Lamp holder for GU10 light bulb included. Available with two years warranty. Tilting angle of 30 degrees and turning of 351 degrees that will allow you to direct the lighting to where you need it. Ideal for lighting homes or businesses. 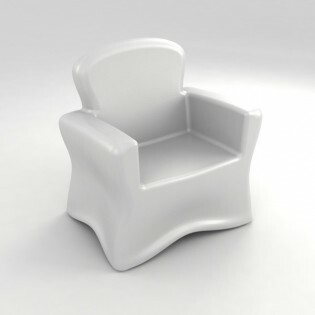 Dimensions: Height 2.5 cm. Diameter 9 cm. 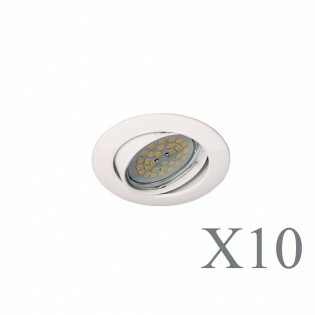 Pack made up of five recessed downlights made of aluminium with rounded shape. For fitting light bulb with GU10 cap (includes lamp holder). You can tilt it up to 30 degrees to direct the lighting as you need. 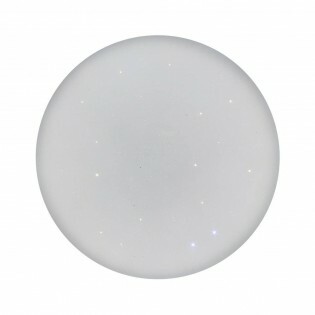 Ideal for ambient lighting in any room.Dimensions: Height 2.5 cm. Diameter 9 cm. Drill 8 cm. 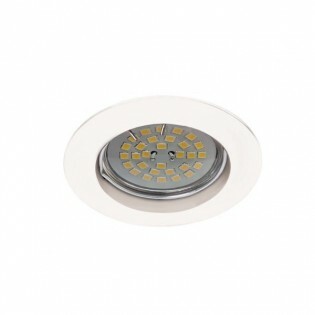 Downlight extra-flat squared of 6W of Power output. High light output (430 lm) and colour white day (4000ºK). Finished in grey. Only 22 mm. of thickness! Ideal for kitchens. Useful life: 20.000 hours. Dimensions: 120 x 120 x 22 mm. 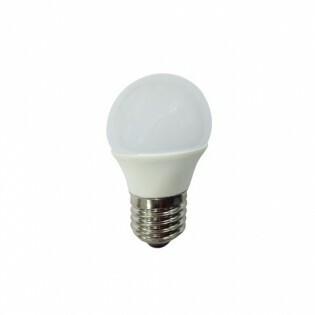 Pacl de 2 Light bulbs Led type B45 Spherical LED 6W (E27 coarse thread). Equivalent to conventional Light bulbs of 40W. 470 lumens. LED SMD. Instant switch-on. Neutral light of 4000ºK. Ideal for replacement of Halogens Light bulbs.Service life >25.000 hours. 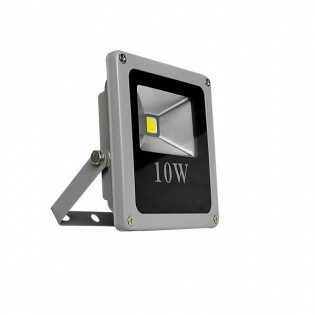 Floodlight for outdoor lighting IP66. Light beam opening angle 120º. 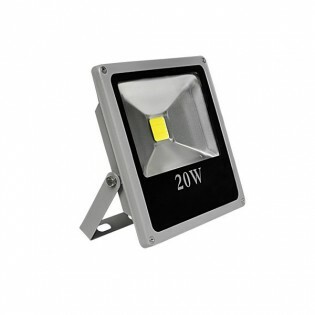 Suitable for lighting outdoor gardens, terraces, porches, signage in commercial premises or industrial buildings. Cold light of 6000ºK. Dimensions: 11.5 x 4 x 13.8 cm. Table lamp with retro style. It incorporates LED lighting to achieve energy savings and greater brightness. Neutral light of temperature 4000K. 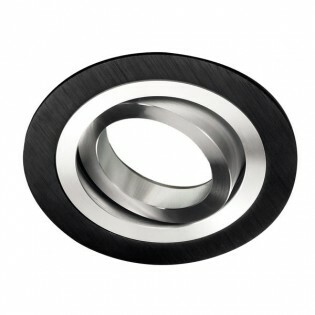 Product made of aluminium with white, black or silver finish. Perfect for use in work or study areas. Dimensions: Diameter base: 15 cm. Spotlight Diameter: 10 cm. 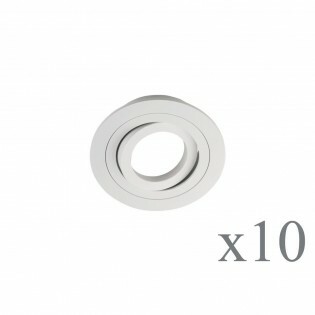 Pack made up of 10 round recessed downlights in white made of aluminium. With them you will light up in an ambient way any type of room creating atmospheres of all kinds thanks to its tilting function (angle of 30 degrees and angle of rotation: 351º). Two years warranty.Dimensions: Height 2.5 cm. Diameter 9.3 cm. Drill 8 cm. 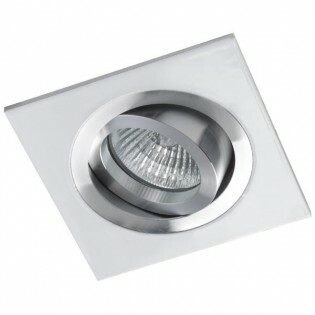 Recessed Downlight BASIC square nickel. 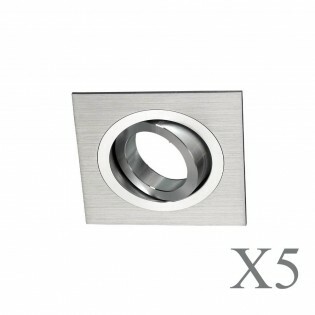 Recessed Downlight BASIC square finished in nickel with fitting to the ceiling by clamps (It is necessary a embedding hole of 7.5 cm), 30º tilting angle ideal to light up the desired zone. 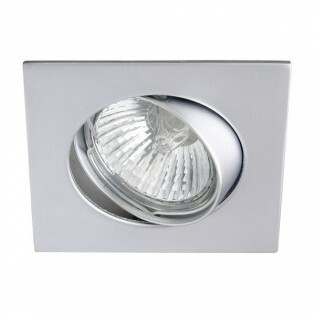 Perfect downlight to light up your dining room, corridor, kitchen or shop. Dimensions: 8 x 8 x 2 cm. Recessed Downlight fixed for ceilings round in old gold. Simple and versatile downlight for corridos ceilings, living rooms, bedrooms, shops, etc. It includes lamp holder for bulbs with GU10 fitting. Dimensions: Diameter 80 mm. Height 15 mm. LED Light Bulb with batteries to hang. It runs on three AAA batteries (included in the product) and has an estimated life of between 7 and 8 hours. The light comes on by pulling the cord and offers 40 lumens WITH a 0.5W Power output. It is ideal to place in small spaces and be able to adjust to the height we need. 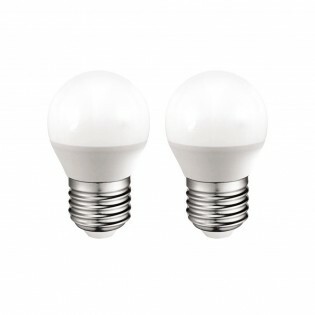 Pack of 2 Light bulbs Led type B45 Spherical LED 6W (E27 coarse thread). Equivalent to conventional Light bulbs of 40W. 470 lumens. LED SMD. Instant switch-on. Cold light of 6000ºK. Ideal for replacement of Halogens Light bulbs.Service life >25.000 hours. Retro-vintage style desk lamp made in aluminium. It has a flexible arm and LED lighting of 6W, 350Lm. with light temperature 4000K. Finished in blue, white, black or green. 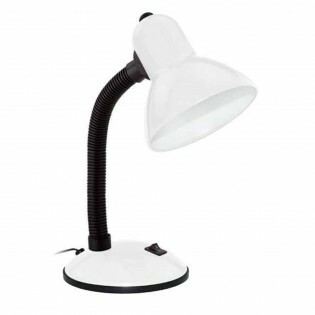 Ideal for lighting study or work areas. Driver included. Dimensions: High 33.5 cm. Diameter base: 14.5 cm. Spotlight Diameter: 12.5 cm. 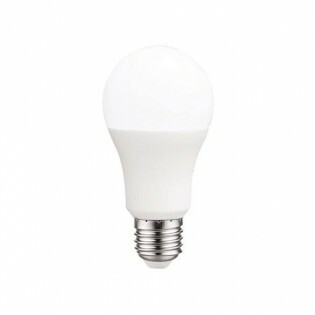 LED Bulb GU10 4W, 220-240V. Switched on at full power in 0,5 seconds. Two colour temperature options, 3000 ºk (warm light) and 4200 ºk (neutral light). 25,000 hours of durability at full intensity. 120º Opening angle. Equivalent to 25W of incandescence. Dimensions: Height 53 mm. Diameter 50 mm. Light Bulb filament Globe 125 mm. The Decorative Light Filament Bulb in its Version Globe . 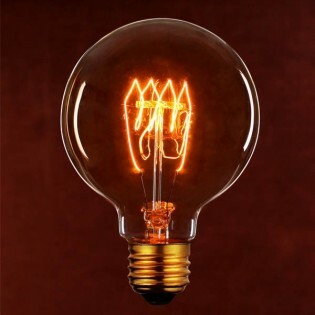 A beautiful Light Bulb with exposed filaments, Perfect for the lovers of stylish decorations retro-vintage . 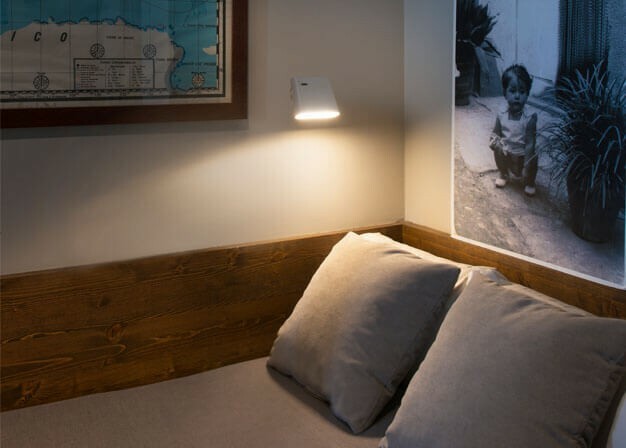 The unique light of this Light Bulb creates a warm, candle-like ambience, ideal for lighting bedrooms, living rooms, offices, even for lighting and decorating any business. 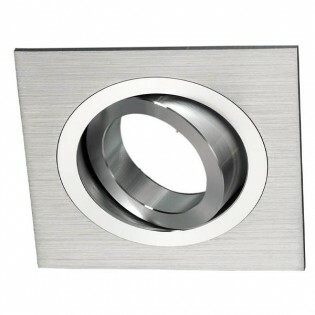 Recessed light tilting squared with polished aluminium frame finished in white. Different options to set up your own KIT:- WITHOUT Light bulb (incluye Lampholder GU5.3).- WITH Light bulb LED GU10 7W. Warm light (2700ºK) or Neutral/day (4200ºK)- WITH Light bulb COBLED GU10 8W. Warm light (3000ºK) or Neutral/day (4200ºK) Dimensions: 90 x 90 x 25 cm. Pack 5 Light bulbs Led type B45 Sphericals LED 6W (E14 small edison screw). Equivalent to conventional Light bulbs of 40W. 470 lumens. LED SMD. Instant switch-on. Warm light of 3000ºK. Ideal for replacement of Halogens Light bulbs.Service life >25.000 hours. 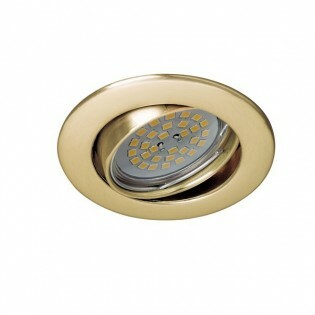 Recessed ceiling light adjustable. Made of aluminium finished in white colour. Independent structure for easy installation. Different options to set up your own KIT:- Recessed light WITHOUT Light bulb (includes Lampholder GU5.3)- WITH Light bulb LED GU10 7W. Warm light (3000ºK) or Neutral/day (4000ºK) Dimensions: Diameter: 100 mm. High: 40 mm. Downlight BASIC tiltable for ceilings with clamps to fix it in the ceiling. 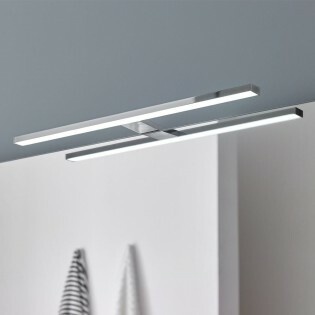 It has a square design in white finish perfect to place it in all kind of spaces like fashion stores, shops, living rooms, dining rooms... You can adjust the light up to a 30º angle. Fitting hole size (drill): 7,5 cmDimensions: 8 x 8 x 2 cm. Pack of ten Light bulbs LEDs GU10 8W (warm light) equivalent to 50 W of a conventional light bulb halogen. Not adjustable. 2 years of warranty. Immediate ignition. Lifetime of 25,000 hours. 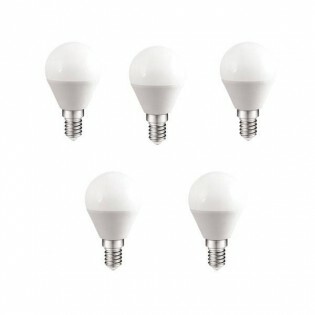 These Light bulbs guarantee a beautiful light, perfect to replace the Light bulbs halogens.Dimensions: High 5 cm. Diameter 5.5 cm. LED Wall Light with adjustable body and 30º light beam opening Seallizadora lens. Minimalist design that includes a switch on the base. Made of aluminum and metal finished in chrome, white or black. 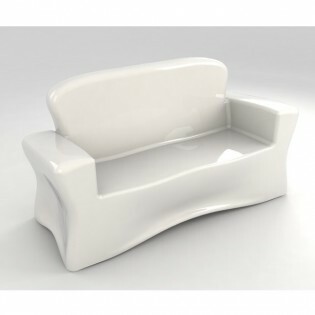 Perfect as a reading point in bedrooms and living rooms or as a light digested in modern style. Dimensions: High: 50cm. Length: 20 cm. Decorative Light Bulb incandescent with the filaments exposed. Elongated shape tube shaped. 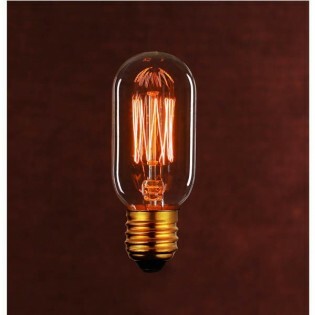 Light Bulb Highly decorative, perfect for any space or room retro-vintage style . Lighting tenuous. Its unique light creates a warm candle-like atmosphere to illuminate any corner of rooms, living rooms, offices, even in any business. 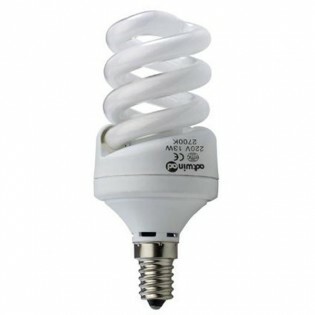 Light bulb mini-espiral 13W of low consumption (screw thread E14). - Service life >8.000 hours.- Dimensions: 48x 104 mm.- Tube: T2. Available in warm white and cold white. 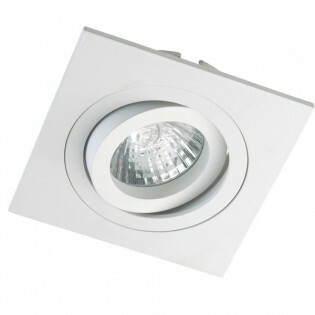 Recessed spotlight from the collection Helium tilting with structure finished in white. Includes lampholder for Light bulb GU10. 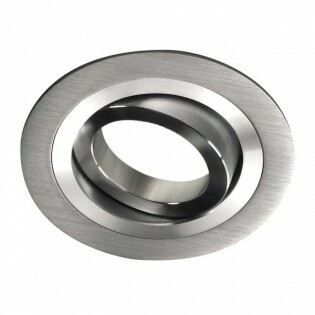 It has an porthole with a tilting angle of 30º and a turning angle of 351º. 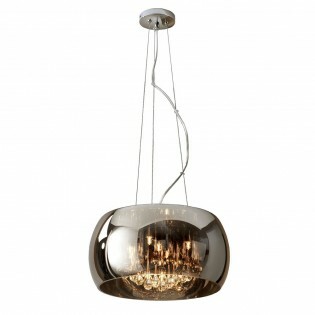 Ideal lighting for any type of space: hallways, bedrooms, dining rooms... Diameter Drill hole: 8 cm. Dimensions: Diameter 9 cm. Length 2.5 cm. Light bulb halogen GU5.3 is perfect for hexagonal Recessed light. Power of 50 W.Dimensions: Diameter 5 cm. Heigth 4,5 cm. 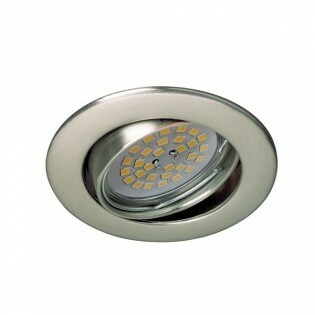 LED Bulb 6W (E27 screw cap fitting). High light output per watt consumed. 470 lumens. LED SMD. Instant On (100% light 0,2s). Available in neutral light (4200ºK). Voltage: 220-240V. Light opening angle: 200º. CRI> 80. Lifespan >30,000 hours.Bulb dimensions: 77mm. Height x 45 mm. Diameter . Light bulb LED (2 years of warranty) GU10 thread and Power of 8W (neutral light), with power equivalent to 50W in conventional light bulb halogen. Luminous flux: 702 lumens. Light opening of 100º. High speed response on power-up (less than one second).Dimensions: High 5 cm. Diameter 5.5 cm. Downlight extra-flat squared of 12W of Power output, finished in grey. High light output (970 lm) and colour white day (4000ºK - Neutral light). Only 22 mm. of thickness! Ideal for kitchen lighting. Useful life: 20.000 hours. Dimensions: 173 x 173 x 22 mm. Light bulb Spherical E27 9W low consumption. Available in warm white (2700K). High luminous power: 425 Lm. Service life >8.000 hours. - Dimensions: 5 x 8.9 cm. Light bulb mini-espiral 20W of low consumption (screw thread E14). High luminous power: 1150 lm. - Service life >8.000 hours.- Dimensions: 50 x 110 mm.- Tube: T2. Available in warm white and cold white. Pack 5 Light bulbs Led type B45 Sphericals LED 10W (E27 coarse thread). Equivalent to conventional light bulbs of 60W con 10W consumption. 806 lumens. LED SMD. Instant switch-on. Neutral light of 4000ºK. Ideal for replacement of Halogens Light bulbs.Service life >25.000 hours.